Twitter is an online social networking and microblogging service that enables users to send and read short 140-character text messages, called “tweets”. Registered users can read and post tweets, but unregistered users can only read them. 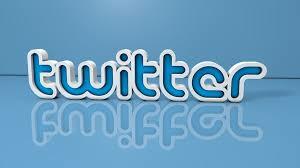 Users access Twitter through the website interface, SMS, or mobile device app. Twitter Inc. is based in San Francisco and has offices in New York City, Boston, Austin and Detroit. Twitter was created in March 2006 by Jack Dorsey, Evan Williams, Biz Stone and Noah Glass and by July 2006, the site was launched. The service rapidly gained worldwide popularity, with 500 million registered users in 2012, who posted 340 million tweets per day. The service also handled 1.6 billion search queries per day. We use your content to advertise on Twitter and connect with users that specifically want your types of products and services. Create Posts about your latest news, products, services, and locations! Connect you with new customers, suppliers, and clients! Continue to update and serve your content to useful sources around the world! Our team experts are skilled in the “art” of Twitter, after all we use social media every day! Getting your latest news, promotions and information noticed is hard enough. 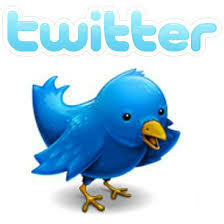 Twitter posts allow you to provide that information to a wealth of potential customers in real-time. Allow our network of followers to re-tweet posts and push your products to customers front doors. No matter the challenge you can rest assured we will outdo the competition and continually provide you with the latest and greatest services from the “Internet”.